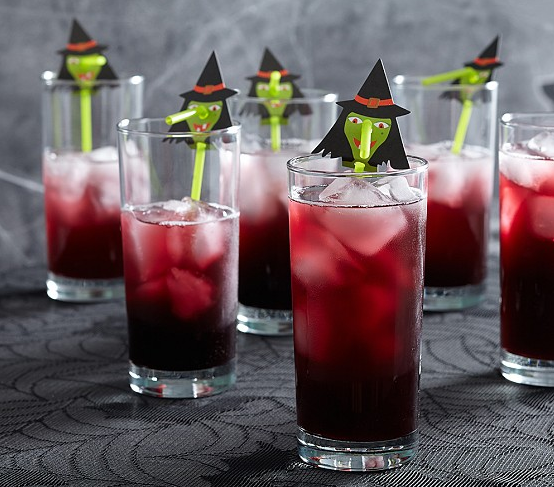 Another fun Halloween must have for me are these witch straws from Pottery Barn Kids. These would be fun for a class party, but sadly we don't have a Fall party at my kids school. I guess I will just have to have some of Miss Ruby's friends over for her birthday. I wonder if I could get them to fit in a juice box if I cut them shorter! 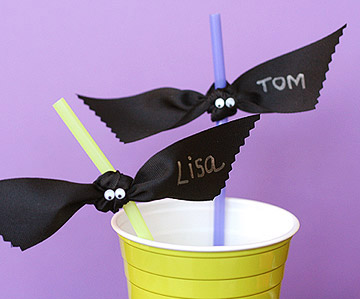 These remind me of the cute bat straws that Lisa Storms made a few years ago. 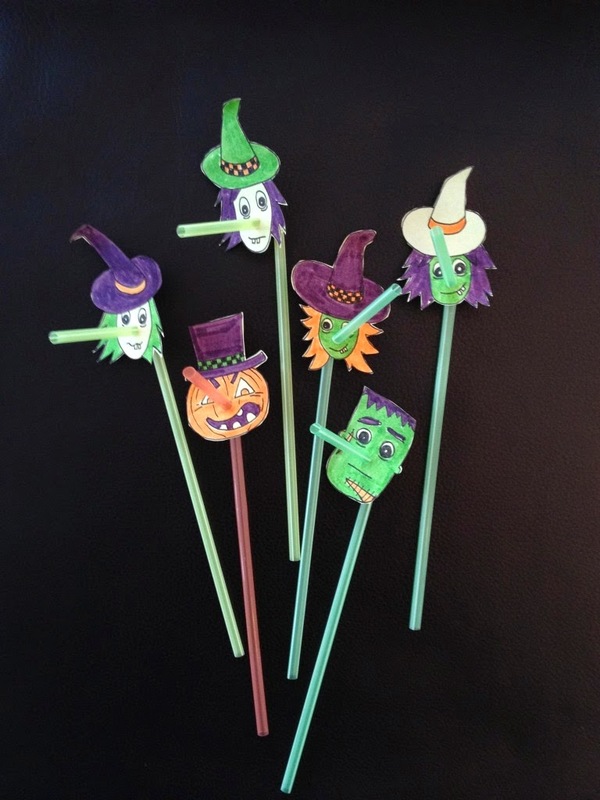 Hello MIME has a tutorial for a set of DIY Halloween straws if you want to try making a set of your own.